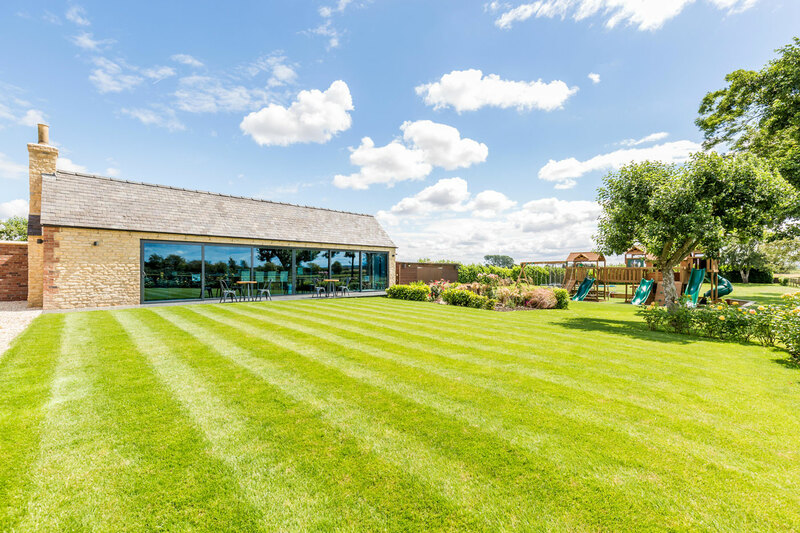 The Man Cave is the perfect space for entertaining, containing a bar/kitchen, dining area and living space, all seamlessly connected to the garden by the large sliding doors. 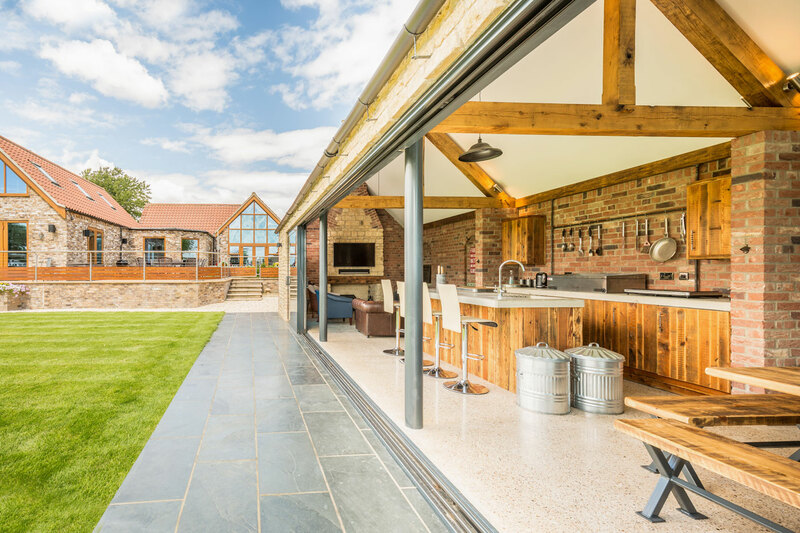 Having previously completed a number of projects for the client, Stirlin were asked to look at the detailed design of The Man Cave and progress the scheme through its construction. This opportunity allowed our construction team and various divisions (Stirlin Design, Stirlin Plumbing & Heating, Stirlin Electrical and Stirlin Joinery) to showcase the benefits of an integrated approach to both design and construction. 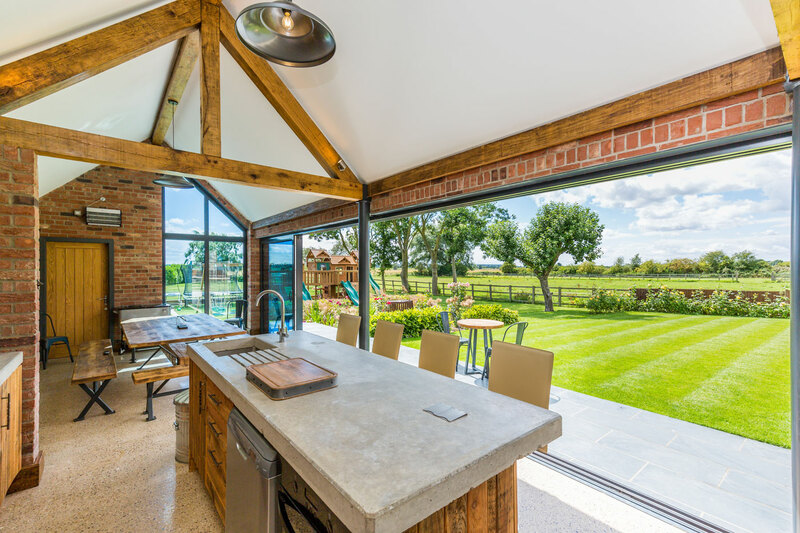 Stirlin Design, led by our in-house Chartered Architectural Technologist, worked closely with the client to refine the original design and ensure their requirements were met prior to the project starting on site. Through the use of hand sketches and 3D visualisations, various options were presented to the client to approve materials, architectural details and interior design. 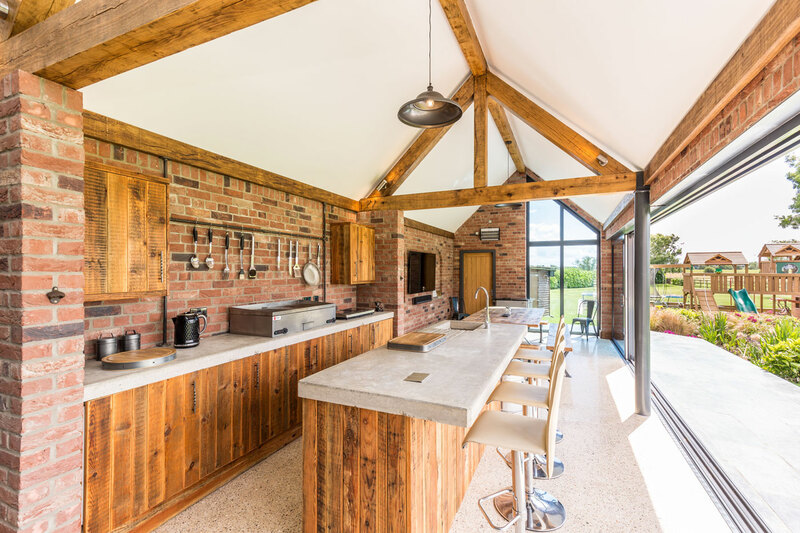 Once the project began on site our construction team were able to demonstrate their attention to detail, with exposed internal brickwork and a polished concrete floor adding to the rustic aesthetic. Stirlin Plumbing & Heating and Stirlin Electrical carefully concealed the building’s heating system and electrical circuits behind the building’s fabric, allowing the exposed walls to be clear of any ducting or boxings. 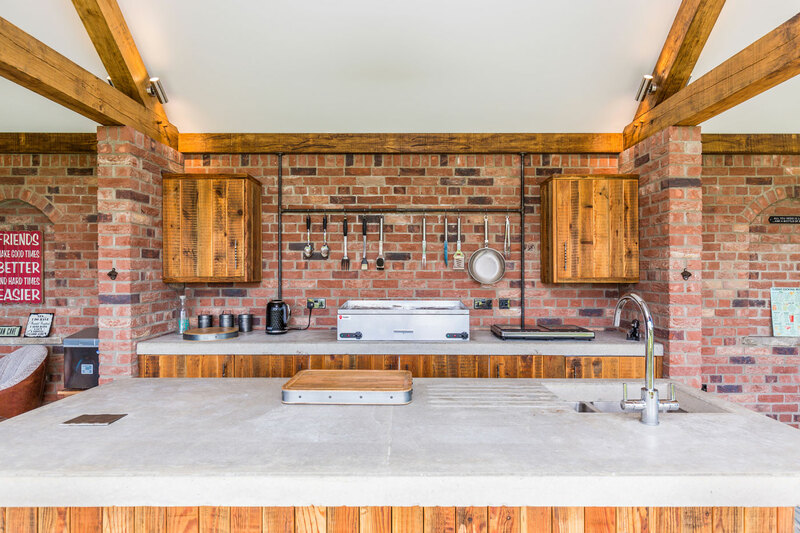 The focal point of The Man Cave is the bespoke kitchen, hand crafted by Stirlin Joinery, featuring oiled pine units and a polished concrete worktop, matching the floor. Integrated appliances and a counter-top griddle offer various cooking options for guests and the concrete worktops provide a robust, washable surface if drinks are spilt.